Most of the games that hit the market today are not new. They may look new or sell themselves as new, but the majority of the time they use old gameplay mechanics. Developers constantly take each other's ideas and recreate the same type of game. Think of all the shovelware out there. So many games aren't even worth five minutes of your time. It is really sad. Playing Bayonetta is like playing Devil May Cry 3, which is like playing Devil May Cry 2, which is like playing Devil May Cry. That's really the spark that got me thinking about rehashing gameplay mechanics. Bayonetta has a crazy story and different visuals, but it is essentially an old game with a new layer of paint. When developers have really high production values they can get away with remaking the same game. The Halo series comes to mind. Between Halo, Halo 2, Halo 3, and Halo: ODST not a lot has changed. All the games basically play the same. If you didn't like one of those four games it is safe to say you won't like the other three. I know that sometimes incremental improvements are made. Halo had no Xbox Live support and Halo 2 laid the groundwork for the Xbox Live that we have come to take for granted. Regardless of this, the gameplay itself is essentially the same. Worse than rehashing gameplay mechanics with high production values is trying to do it with low production values. That's where all the shovelware on the store shelves comes from. What we really need are new ideas. I want to experience new gameplay mechanics. The production values don't have to be high if the gameplay is new. Innovation trumps graphics. I find myself loving independent games more and more. 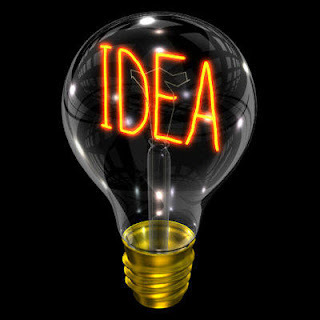 There are so many good ideas out there just waiting to be explored. Indie games tend to be new ideas and they are usually fairly cheap to buy. It's why I feature so many 60 second games. It's why I've been spending so much of my gaming time on my ipod touch. It's why I buy indie games on steam. When all goes right with the world we get amazing games like Portal. Portal was a project created by a group of students in gaming school. Valve saw the potential in it and hired these novice game designers, gave them a bigger budget, and let them create what they wanted to. The result was Portal. Now that it's a proven success they have been given an even bigger budget and more time to work on Portal 2. Portal was a sleeper hit that gained momentum over time. Portal 2 is going to be a blockbuster hit on day one. I love indie games and I think you will too. I'll keep sharing the wealth with my 60 second game posts but next time you see an independent game maybe you should take a few minutes of your time and check it out. Have you given Trine a shot? It's like the Lost Vikings only cooler! You should be able to get the demo off Steam. I purchased it from steam a while ago and somehow never got around to playing it. I may go boot it up right now.